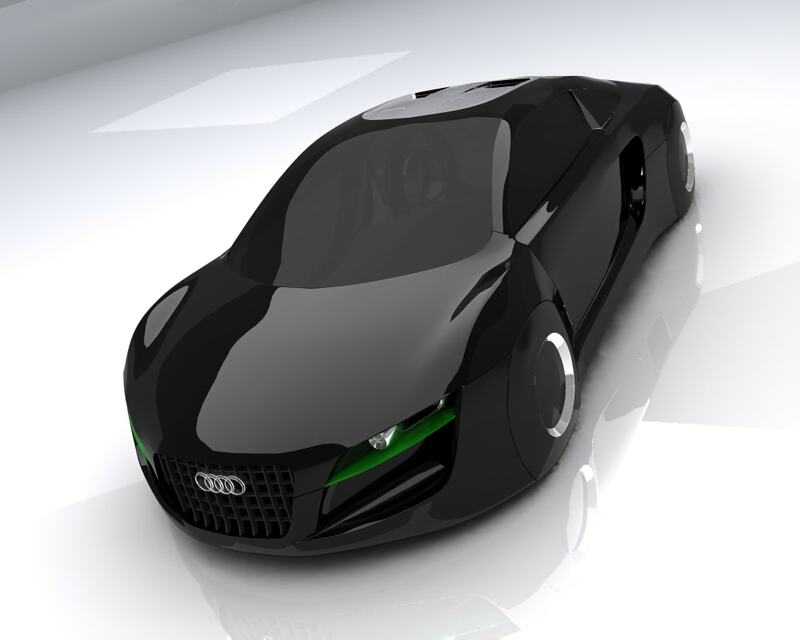 Audi RSQ Concept wallpapers for your PC, Android Device, Iphone or Tablet PC. 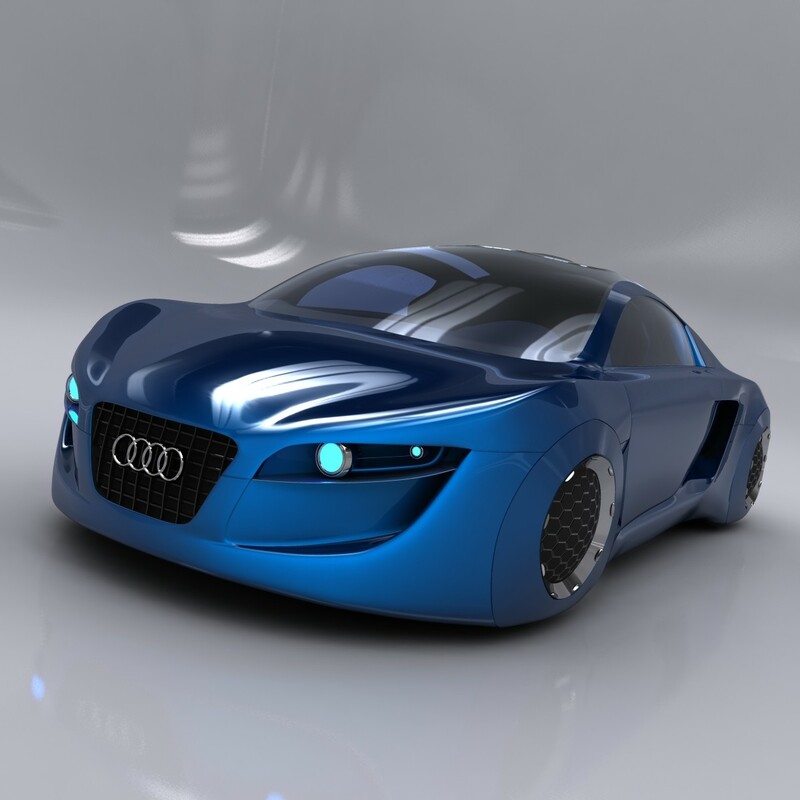 If you want to download Audi RSQ Concept High Quality wallpapers for your desktop, please download this wallpapers above and click «set as desktop background». You can share this wallpaper in social networks, we will be very grateful to you. 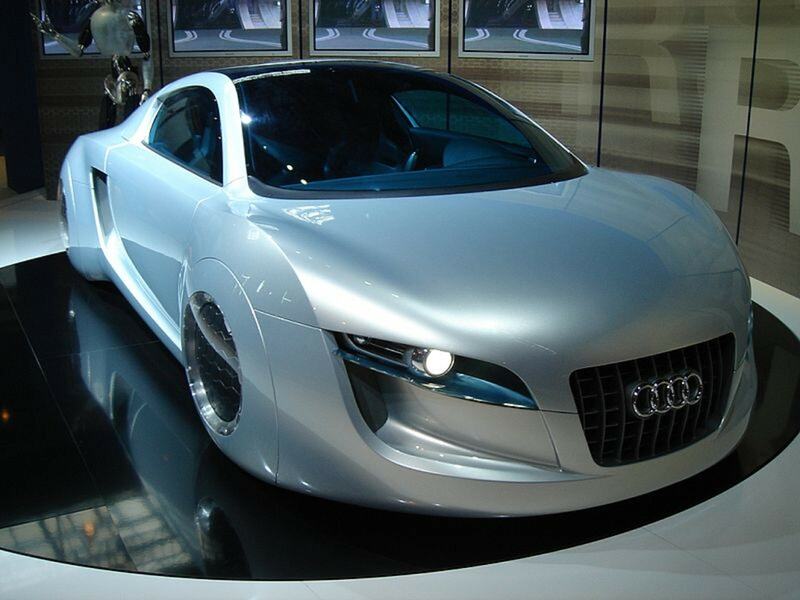 Audi RSQ – this concept car, which in 2004 was developed by experts at Audi. 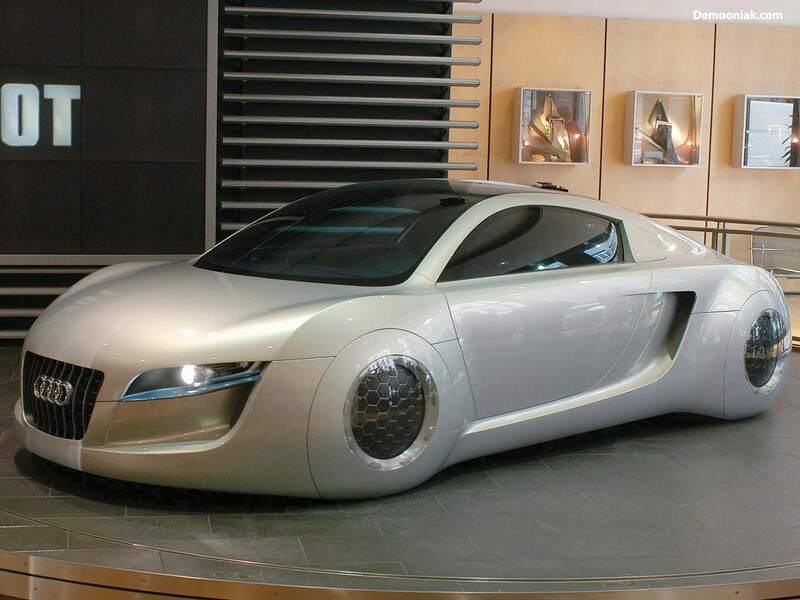 This model was created specifically for the film “I, Robot” starring Will Smith in the title role. 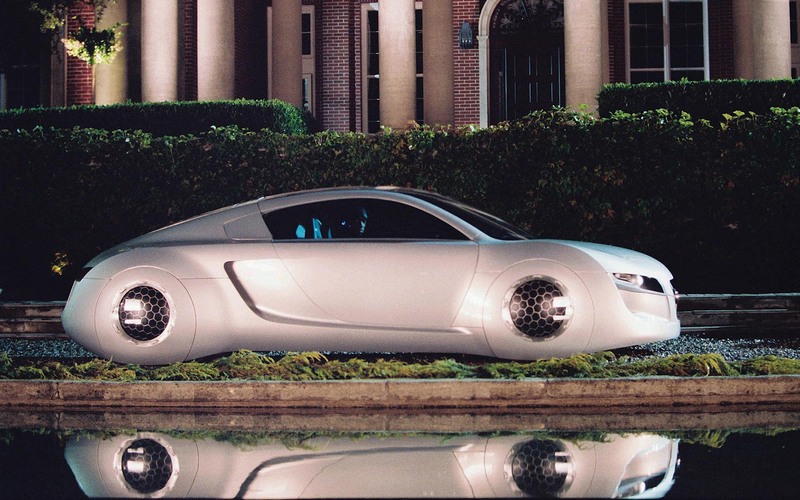 According to the plot of the movie, the car of the protagonist must have a very pronounced sporty character and high degree of recognition, that it can be easily found among the other cars of the future. 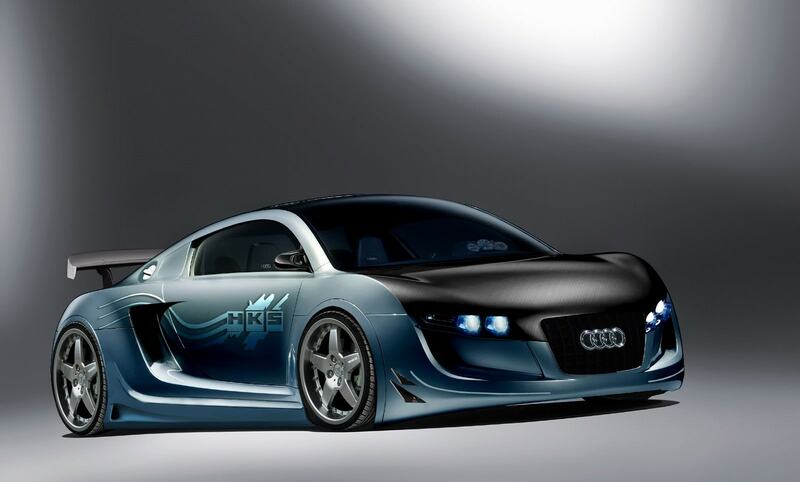 Therefore, developers and designers have given Audi RSQ sports an aggressive appearance. 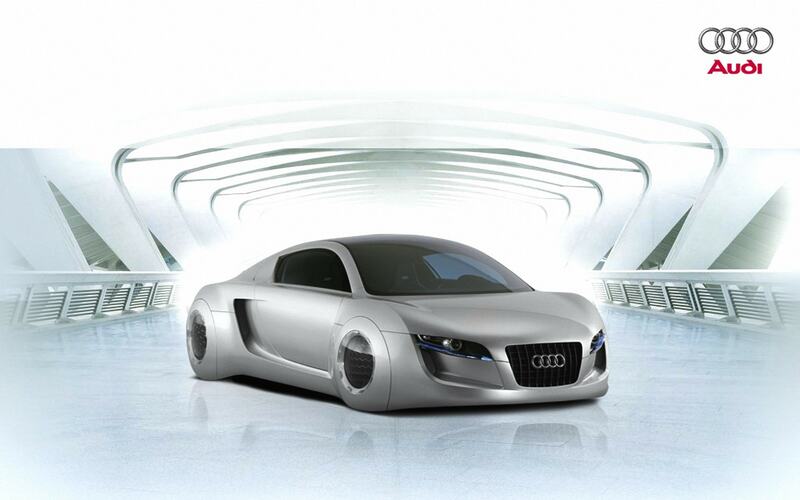 For Audi, it was the company’s first development machine for such a project. 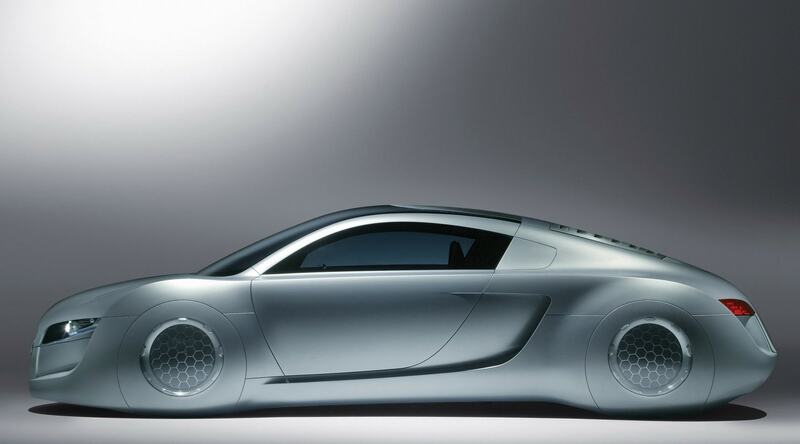 RSQ is a forerunner of Audi Le Mans Quattro, which took part in the creation of Lamborghini’s engineers. Soon Le Mans Quattro altered according to the requirements of the crew and, after completion, he received RSQ index. 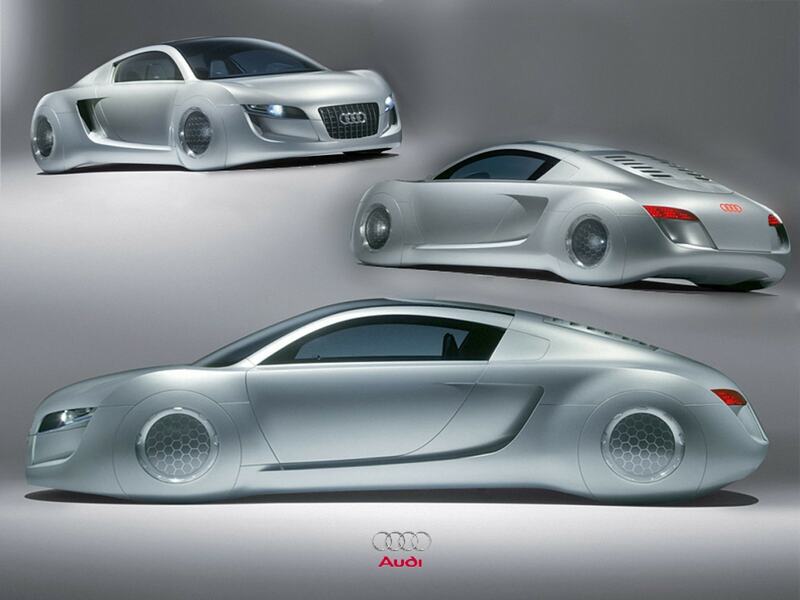 Within four weeks the newly concept Audi has been sent to the set. Aside from her, further produced two models: one for staging the accident, and the other for shooting close-ups. 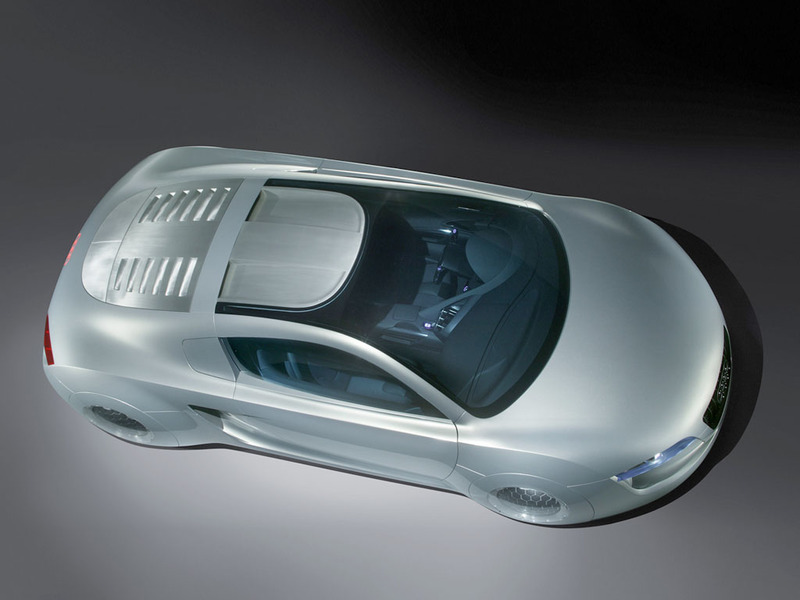 RSQ first introduced in 2004 in the New York Auto Show. 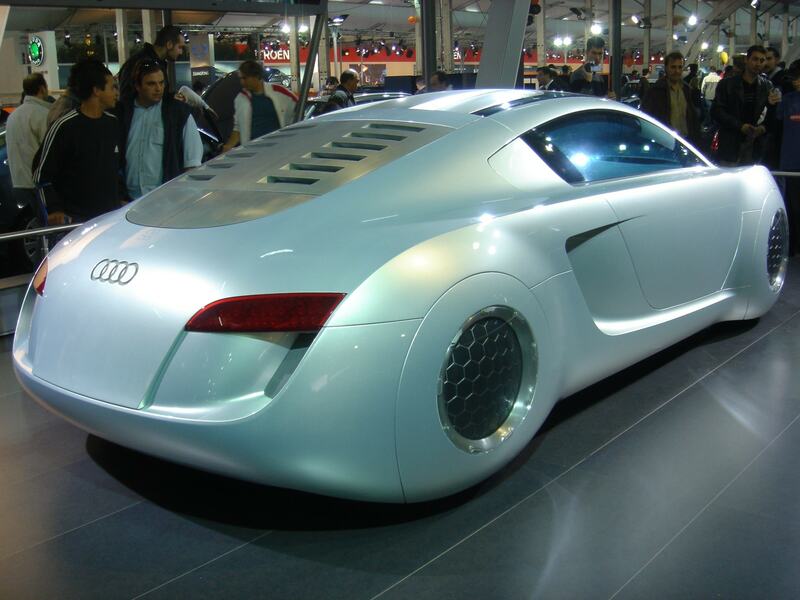 The body of this concept is made of fiberglass sandwich panels which are painted in silver color moon. 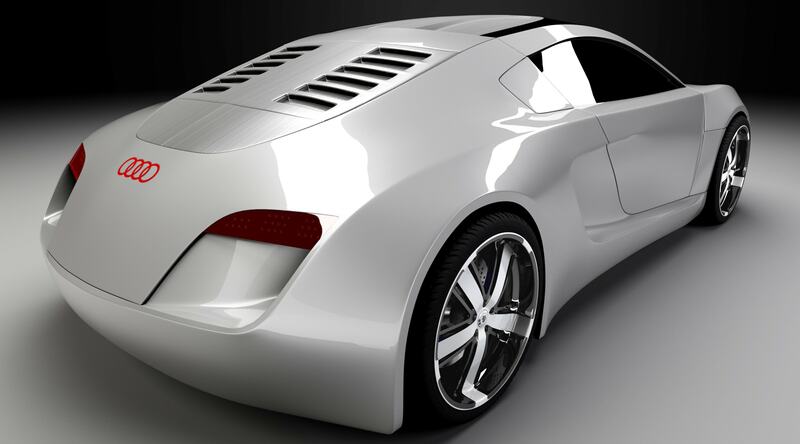 In bright light bluish color of the car body acquires a golden sheen. 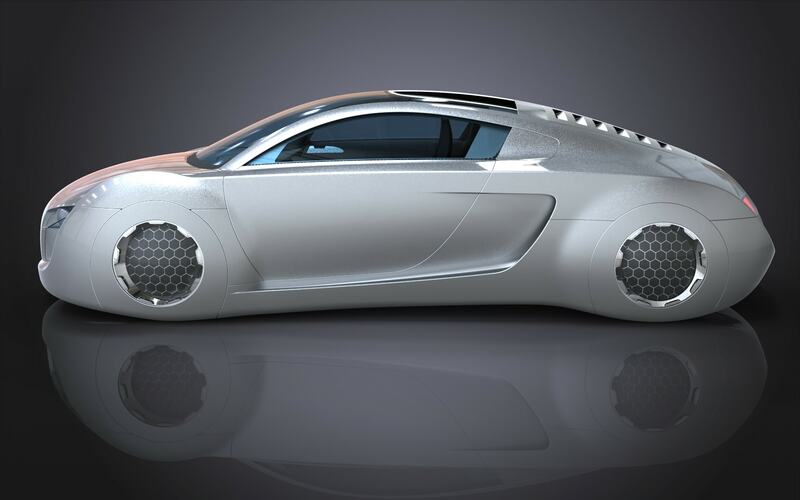 The most revolutionary and futuristic feature of the concept car – a spherical wheels, which are recessed in the closed arch. Spherical mode of transportation allows you to have more room for maneuver and evolutions in comparison with conventional wheels. 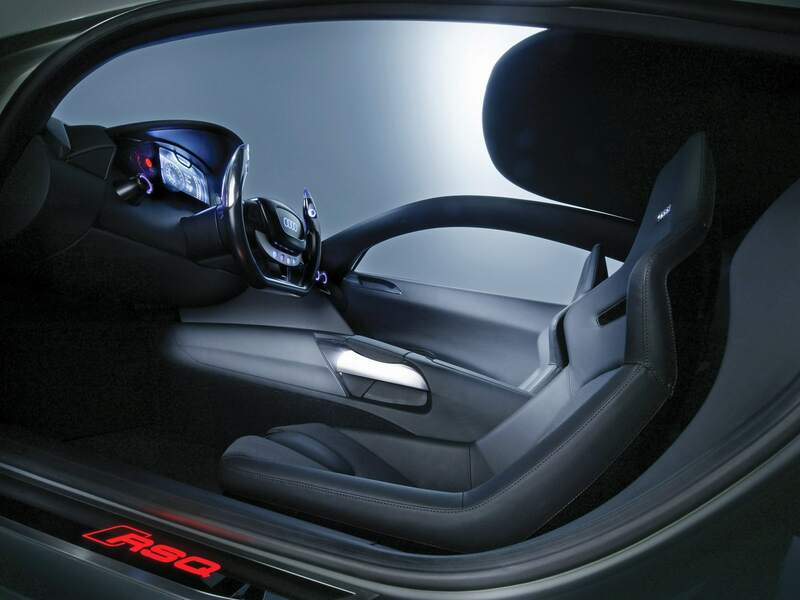 One of the most impressive features of RSQ – doors, made in the “gull wing” style (they folded up and rotated slightly). 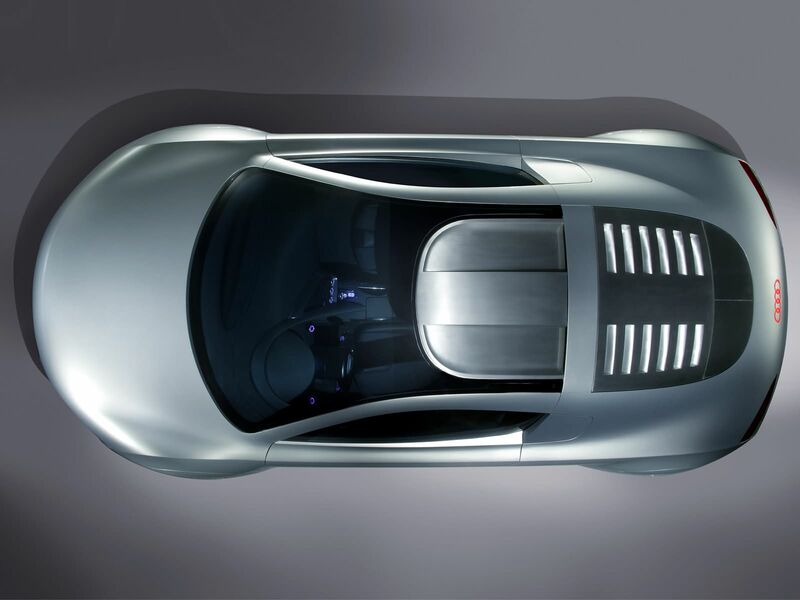 Another, no less expressive feature of the car of the future – is the steering wheel, which resembles the wheel of the aircraft. 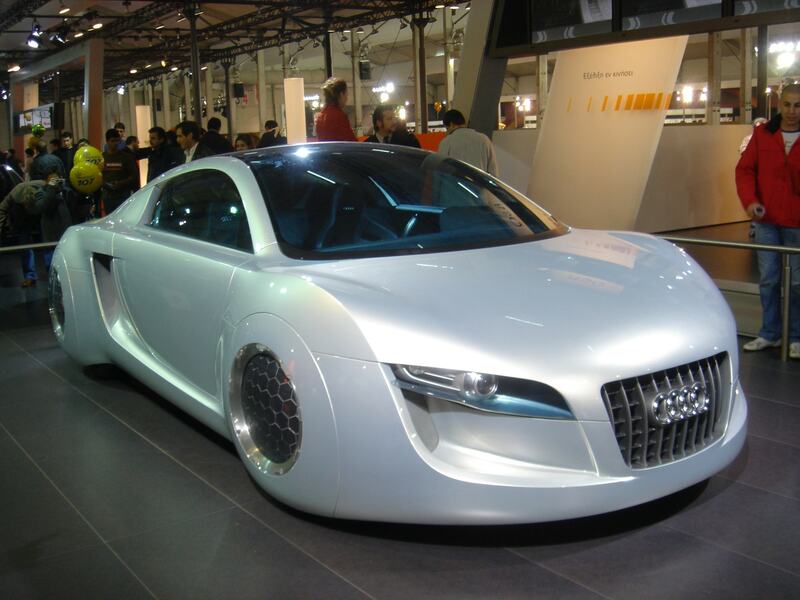 Audi RSQ The driver sits, like in a fighter plane and the bucket seat provides maximum comfort and support for the “pilot.” The steering wheel can be raised up together with the instrument cluster, center console, the vehicle is a semi-circle. According to the script of the movie in RSQ set the autopilot, but in an emergency you can use the manual control mode. 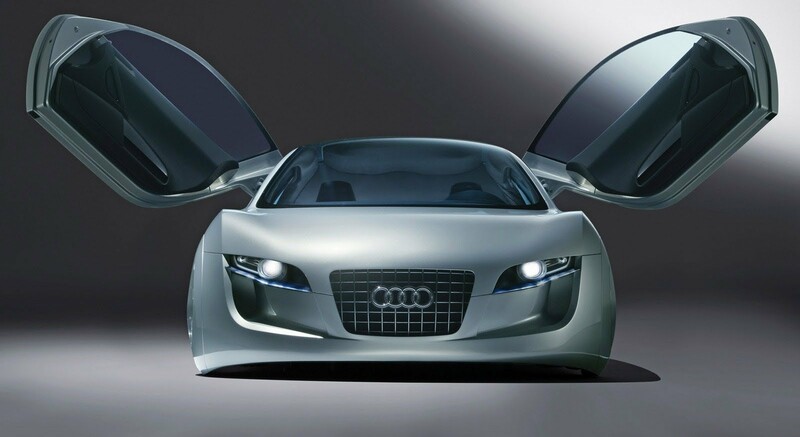 Also distinctive features of the design of the Audi models are xenon headlights and an aggressive front end with grille «Singleframe». 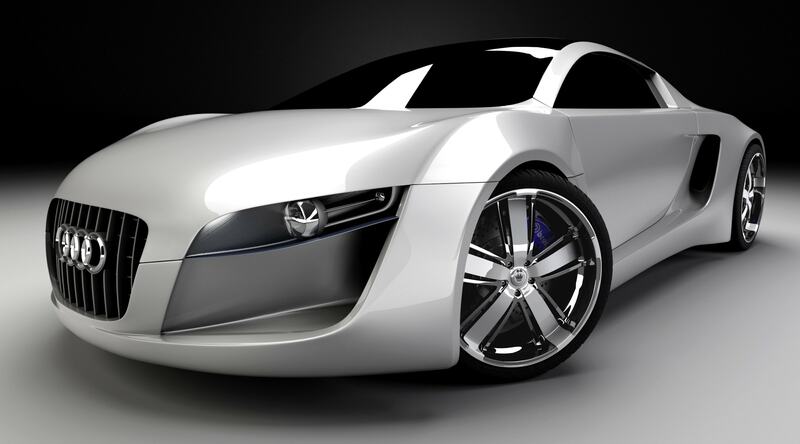 It is safe to say that the developers RSQ excellently coped with the problem by developing a real car of the future. 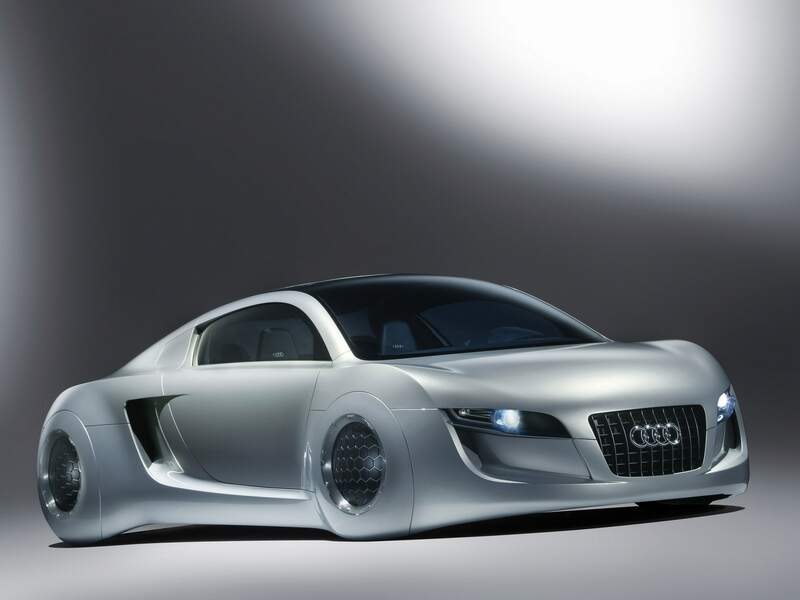 For advertising, which was associated with the promotion of the film “I, Robot”, Audi won the silver award EACA Euro Effie. 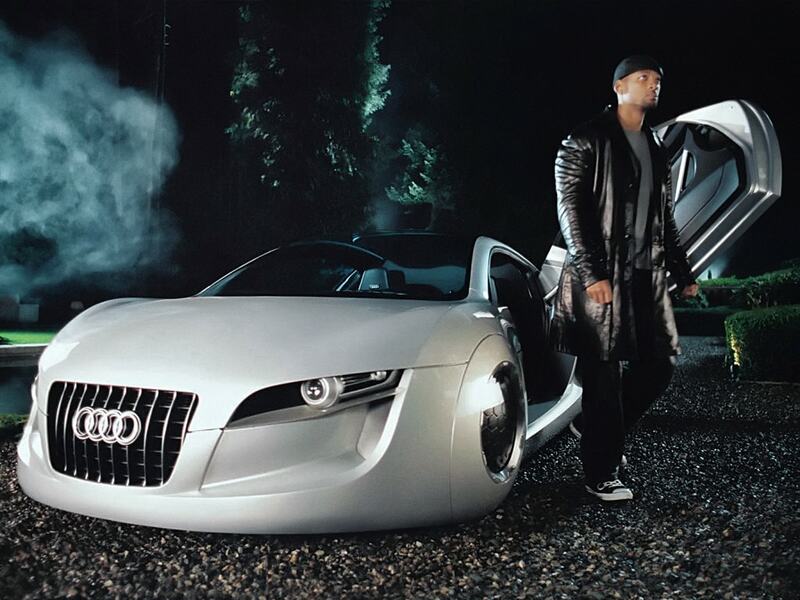 Dynamic style Audi has brought in a Hollywood movie of its core values of the brand: progress, sportiness and attention to detail.